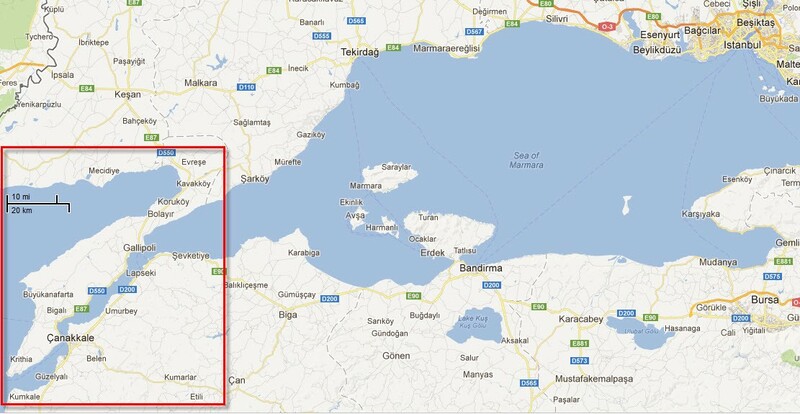 The Gallipoli Peninsula, to the south west of Istanbul, is located in Turkish Thrace, the European part of Turkey, with the Aegean Sea to the west and the Dardanelles to the east. In 1980 the Gallipoli Peninsula Historic National Park was founded, encompassing 35,000 hectares of countryside, to protect the military and natural history of the region. Although there have been vineyards for grape production on the hills of this rural region of Turkey since long ago it is only in the last few years that serious wine production has been developed. 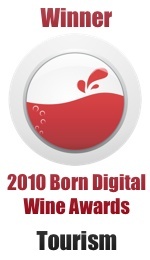 Last year the Digital Wine Communications Conference (EWBC) was held in Izmir, Turkey, during which we discussed the origins of wine, tasted a surprisingly wide selection of wines from both Turkey and neighbouring countries, and met with a wonderful group of like-minded wine people. Beforehand I joined a group for a rather unusual winery tour to Thrace, a couple of hours’ drive west of Istanbul, with the chance to visit two recently established wineries, Suvla and Galî. I had a particular interest in visiting this eastern corner of Europe where many battles had been fought and wars waged: 3,000 years ago it was the scene of the Trojan War, and in the First World War the ill-fated Dardanelles campaign. My grandfather had fought here in 1915, surviving but so appalled by what he’d seen and endured that he never told me anything about his time there. It was also an awful experience for the Australian and New Zealand forces who eagerly joined up to help and support the Empire, the first time that troops from so far away wanted to be involved in such a conflict. The ANZACS, as they became known, acquitted themselves so well in such a badly planned and executed campaign that they became highly respected by their Turkish enemies, and vice versa. Indeed, with the passage of time (it is now nearly 100 years, and three generations, since the Allied Forces lost this campaign) the remembrance services on the peninsula, especially at Anzac Cove, have become very well attended by friend and foe, now all of them friends. Anzac Day is a national day of remembrance in Australia and New Zealand on 25th April to commemorate those who died here and in other military operations. The battle was also the making of Kemal Ataturk who proved to be a great general and later became the father of modern Turkey. In spite of a wealth of unusual, indigenous Turkish grape varieties the principal wineries here have concentrated on planting mainly classic, international vines. First we visited the winery of Galî in Evrese, overlooking the Gulf of Soros. Both the winery and the wine cellar were constructed using local stones, which naturally regulate the humidity and temperature. This architectural set-up also allows for the wines to be produced in the gravity-flow method, without using any pumps. 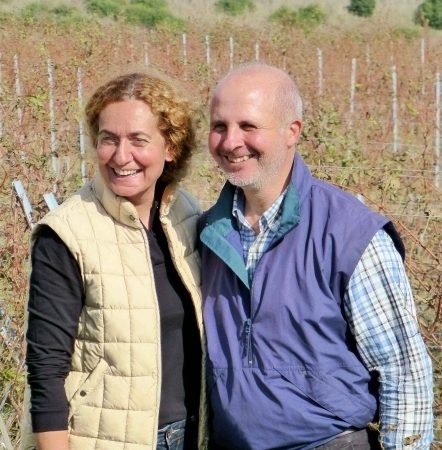 Galî was founded in 2005 when Hakan Kavur and his wife, Nilgün, bought 48 hectares of land and planted half with vines, a mix of 78% Merlot, 14% Cabernet Franc and 8% Cabernet Sauvignon. Hakan, who had retired as an engineer in Switzerland, studied wine in Bordeaux and decided to make two reds modelled on the Bordeaux château style. Their first vintage release was 2009 on sale from 2011. Big, rich and juicy, the three high quality reds we tasted were a tad over laden with new oak tannins, but future vintages will have less wood influence and promise well. We drove 13km into the countryside where we walked in their vineyards overlooking the shimmering Aegean Sea to the west and the beautiful Sea of Marmara in the east – endorsing the benign maritime climate. We enjoyed a home-made lunch in the family home after an aperitif in one of the WWII bunkers nearby! Better to store wine there rather than bombs… and that’s just what the Kavurs plan to do in the next couple of years. We left this kind couple who are so passionate about their wine to drive further down the Peninsula to visit another exciting winery in Eceabat, by the Cannakale Strait , the Dardanelles. After working in a variety of different enterprises, including the IT business, Selim Zafer Ellialti decided to make wine. Seriously make wine. In 2003, while he worked as general manager at Microsoft, responsible for the Middle East and Africa region, he and his wife, Pinar, created Suvla Wines. First they planted 44 hectares of vines, in their new Bozokbağ vineyards, mainly of international red and white varieties but some indigenous types as well. Originally Selim sold their grapes to a big Turkish wine company but in 2009 they opened their modern winery, converted from an old textile factory, which is fronted by a smart shop and a tasting area that wouldn’t be out of place in the New World. They sell their own cold-pressed olive oil as well as other speciality local foods. In the tasting bar, one can have snacks with pairings with their wines, and meals are available by reservation for groups. Mainly from international varieties, Suvla produces a comprehensive range of wines, which are sought after by their Turkish clientele, though their wines from local varieties are increasing and perhaps more of interest for exports. Again, some of the wines showed a bit too much oak, but it worked particularly well with both the Syrah Reserve 2010, full of berries and spices, and their special Bordeaux blend named SUR. We did learn that there is a good reason for why wines tasted here and elsewhere in Turkey were to our palates over-oaked – only new oak barrels can be imported into Turkey, so it will take few years for the barrels to lose their aggressive tannins. 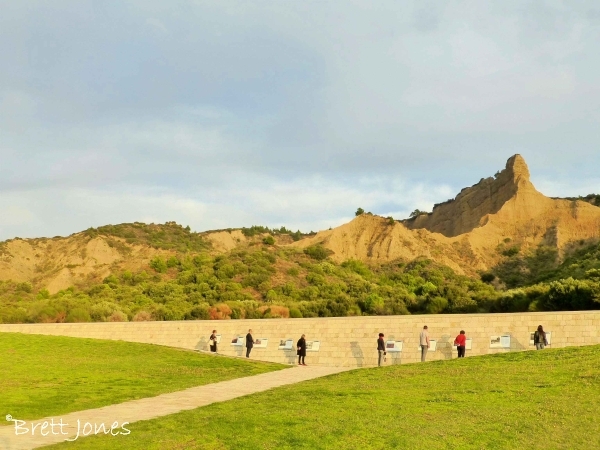 As we wanted to be at Anzac Cove before sunset we didn’t have time to visit the brand new Gallipoli Kabatepe Simulation Centre, which has replaced the old war museum. The centre has 11 gallery rooms, each equipped with advanced high-tech simulation equipment. 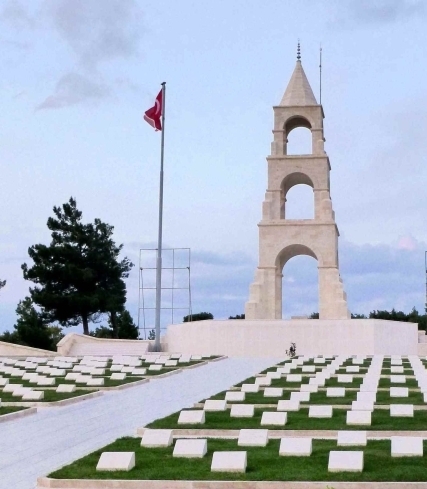 The story of the 1915 Gallipoli naval and land campaigns is told from both Turkish and ANZAC points of view, and is well worth visiting. At Anzac Cove our small group quietly walked around, each of us trying to come to terms with the awfulness of war, the suffering and the madness. We were all moved, each with our own thoughts. With two exciting Turkish wineries to visit in this region packed with so much history, ancient and modern it had been a fascinating day, a special experience. I often thought of my grandfather, who would have seen Gallipoli in quite a different light, and am proud of his bravery and of all the other soldiers. Visitors to the Gallipoli Peninsula can visit Suvla’s tasting room during normal working hours or call ahead for an appointment for a special tasting or meal for groups. Gali can only be visited by appointment. If you would like to learn more about the military venture I do recommend Gallipoli by Les Carlyon, a great account of the events, the battles, and the hardships of the British and ANZAC troops. 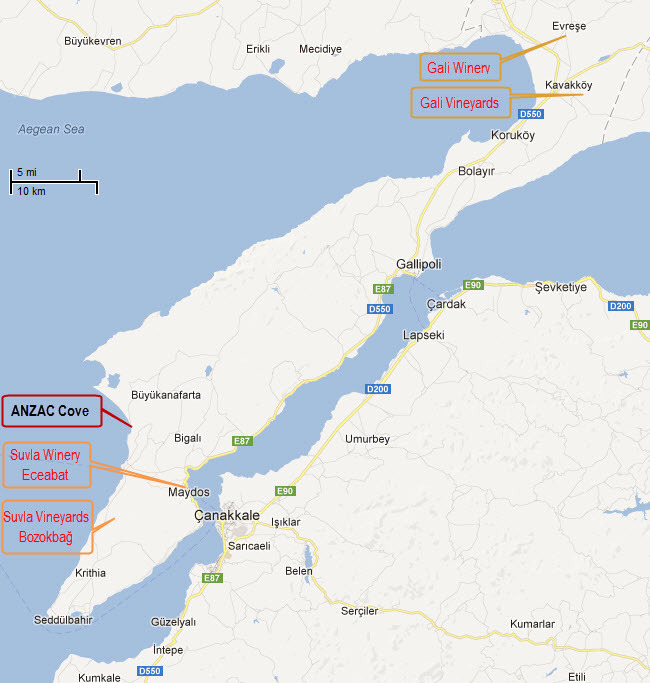 With thanks to the team at Vrazon, organisers of EWBC and to Wines of Turkey who sponsored the visit to Gallipoli.